Independence Hall is a major attraction. Security requires you to get free tickets in the Visitors Center. 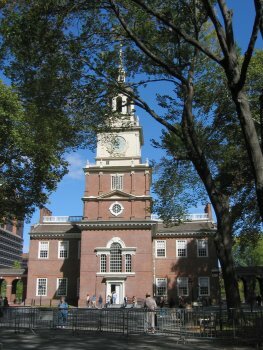 We thought we were well-prepared for our tour, with a printout of The Constitutional Walking Tour in hand, but it turns out that a little more prep would have been helpful. This is Ben Franklin's Post Office. Or at least a tribute to his stint as Postmaster General. 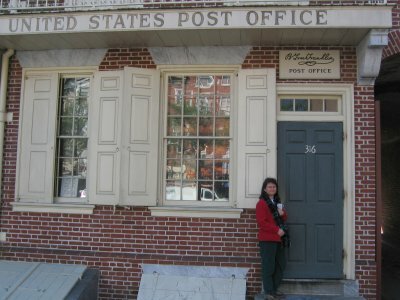 It is the only Post Office in the US that does not fly a flag, because there was no national flag when Franklin took office. They hand-cancel stamps with the Franklin postmark. We mailed some post cards from here. We started with the Liberty Bell. 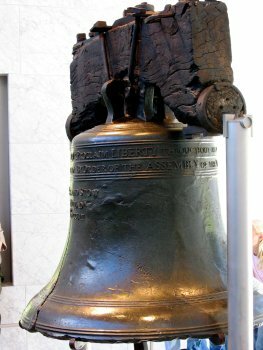 There is a fairly long line to get through security, then you go through a small museum that documents the history of the Bell. There's a cast of the inscription from the Bell, so you can feel that without touching the Bell itself. 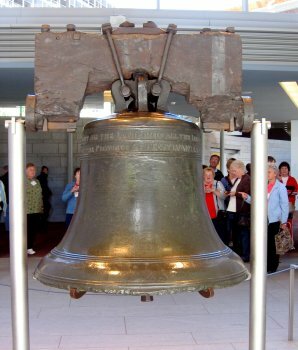 Finally, there is the Bell itself. 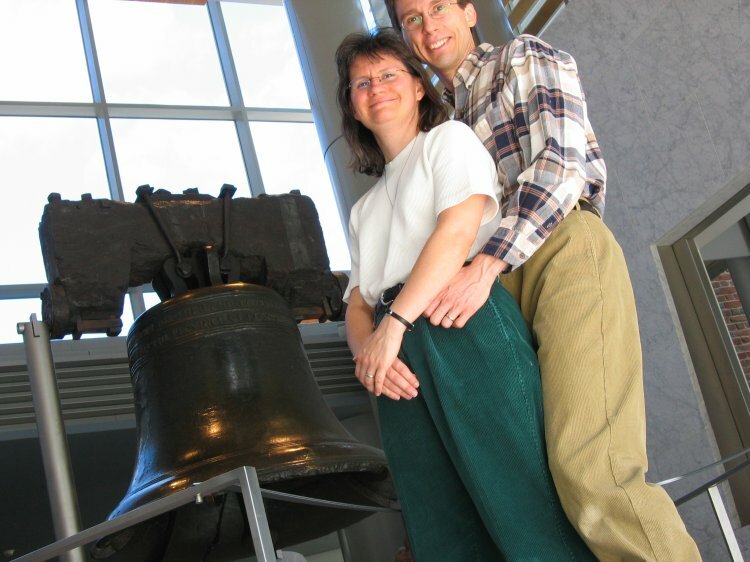 There's not a lot of room around the Bell to set up for pictures. But we were there! 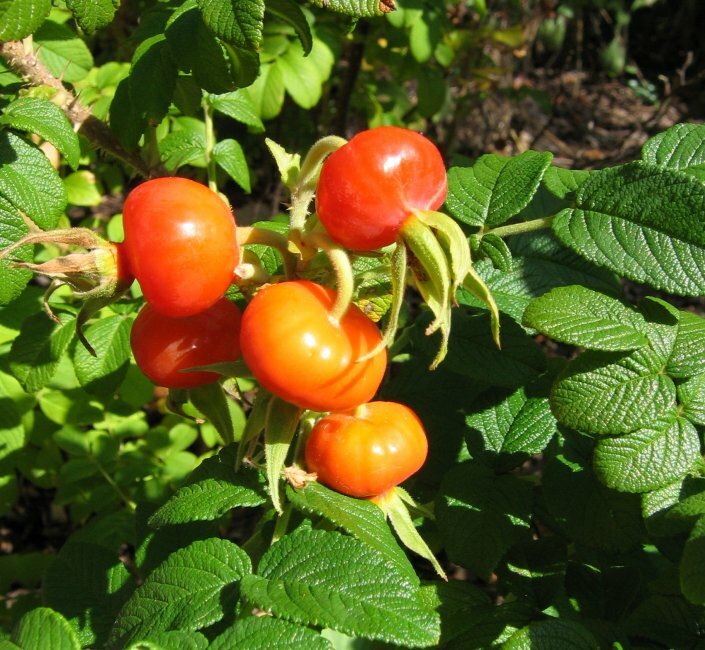 Some rather spectacular rose hips growing near the exit.